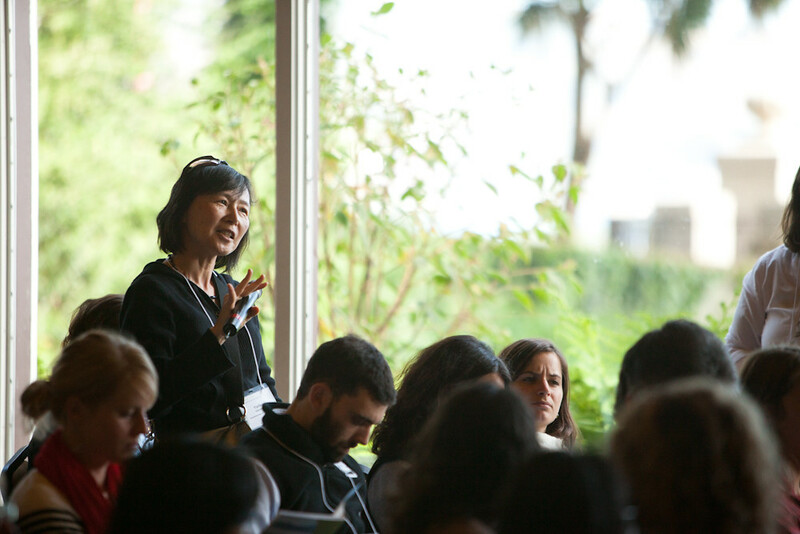 What does it mean to be a healthy Bay Area? 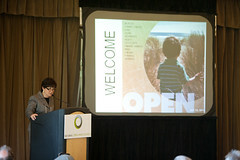 The 2011 Open Space Conference addressed many aspects of ‘health’ as it relates to the land and how we live on it. 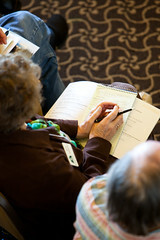 We looked through the forest to find the trees and what is essential to our work in land conservation and stewardship. And we will look around the corner, over the hill and down the bike path to learn what the future holds. Thank you to all of the 2011 Conference sponsors! Select presentations are available below. 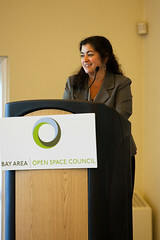 Andrea Mackenzie, President, Bay Area Open Space Council and General Manager, Santa Clara Open Space Authority. See the slideshow by Lech Naumovich which ran behind Andrea. Leslie Friedman Johnson, Partner, Conservation Strategy Group. 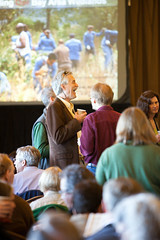 John Reid, Founder and President, Conservation Strategy Fund. 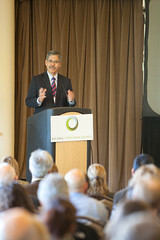 Ray Baxter, Senior Vice President for Community Benefit, Research and Health Policy, Kaiser Permanente. 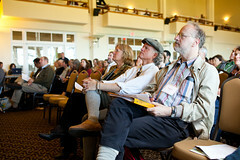 We are grateful for the time, expertise and energy of the following speakers who joined us. Ray Baxter, PhD, is Kaiser Permanente’s senior vice president for Community Benefit, Research and Health Policy. 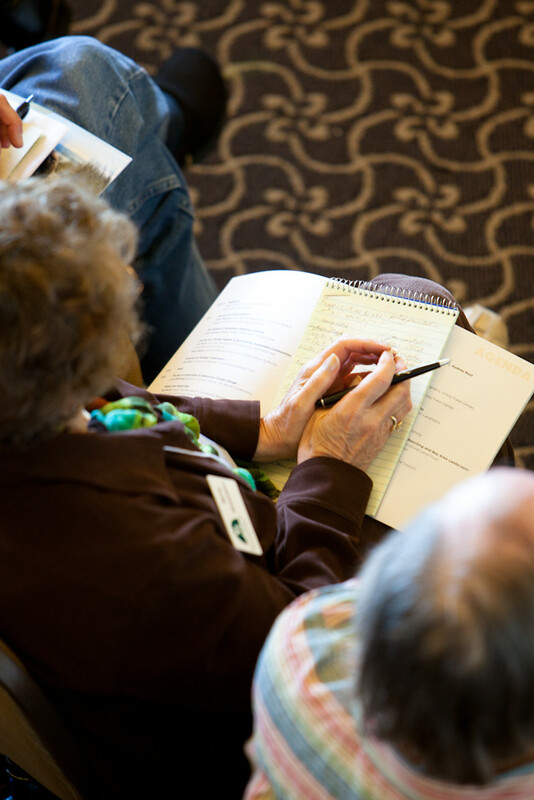 As a member of Kaiser’s National Leadership Team, Dr. Baxter leads the organization’s activities to fulfill its social mission, including care and coverage for low income people, community health initiatives, health equity, environmental stewardship and support for community-based organizations. 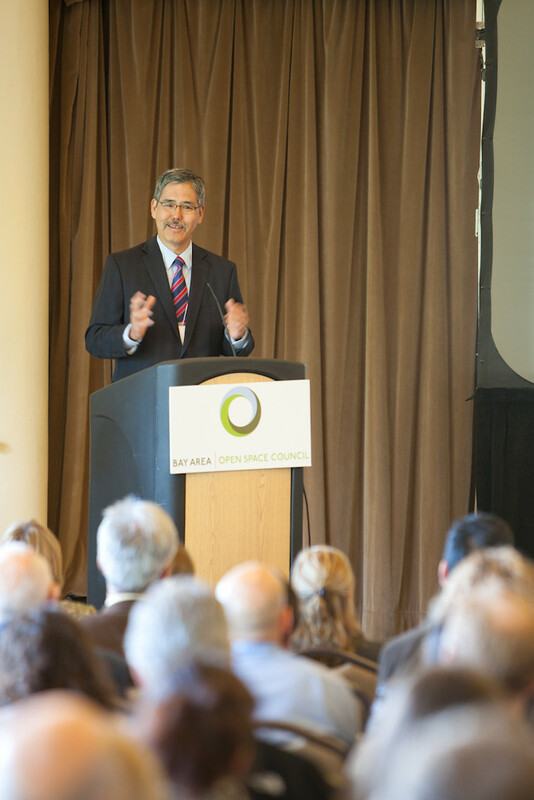 He also leads Kaiser Permanente’s work in research, health policy and diversity, and serves as President of KP International. Dr. Baxter has more than 30 years of experience managing public health, hospital, longterm care and mental health programs, including heading the San Francisco Department of Public Health and the New York City Health and Hospitals Corporation. Dr. Baxter also led The Lewin Group, a noted health policy firm. Dr. Baxter holds a doctorate from the Woodrow Wilson School of Public and International Affairs, Princeton University. He serves on the Board of Directors of Grantmakers in Health, the Advisory Board of the UC Berkeley School of Public Health, the Technical Board of the Milbank Memorial Fund, the National Public Health and Hospital Institute, and the Canadian Academy of Health Sciences Expert Panel on Chronic Disease. In 2001 the University of California, Berkeley, School of Public Health honored him as a Public Health Hero for his service in the AIDS epidemic in San Francisco. In September 2006 he received the CDC Foundation Hero Award for addressing the health consequences of Hurricane Katrina by supporting public health teams in the Gulf Coast, and for his longstanding commitment to improving the health of communities. 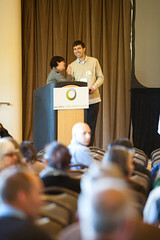 Louis Blumberg is the Director of the Climate Change program for The Nature Conservancy’s California chapter. He leads a multidisciplinary team developing a comprehensive suite of nature-based solutions to climate change including strategies to help human and natural communities adapt to its impacts. Mr. Blumberg has been directly involved in the development of climate policy in California for more than a decade. He joined the Nature Conservancy in 2004 and has been instrumental in promoting standards- based, forest carbon policy. 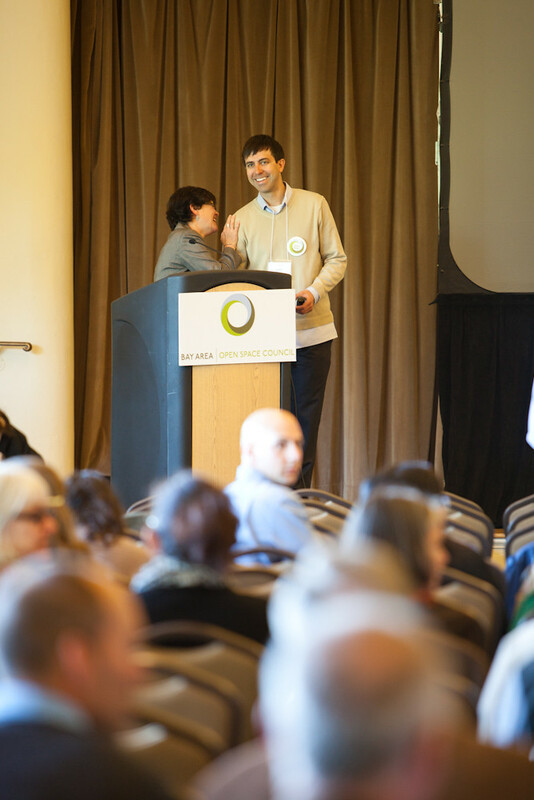 He works with a variety of government and non-government partners including the Climate Action Reserve and the California Air Resources Board in the development of forest project protocols for use in both the voluntary and emerging compliance carbon markets. He is also a member of The Nature’s Conservancy’s international climate change team, working to promote actions to Reduce Emissions from Deforestation and forest Degradation (REDD+) at the state and province levels in Mexico, Brazil and Indonesia. Prior to joining the Conservancy, Mr. Blumberg served as deputy director of external affairs for the California Department of Forestry and Fire Protection. He holds an M.A. 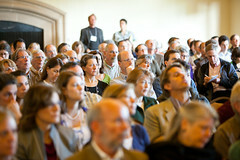 in urban planning and environmental policy from the University of California, Los Angeles and a B.A. from the University of California, Santa Barbara. 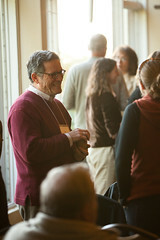 Bob Doyle became General Manager of the East Bay Regional Park District in 2011 after a 35-year history with the District. He began his career as a park ranger working in seven Regional Parks. He moved to the Planning & Design Department as a resource analyst and then to the Land Acquisition Department as the trail specialist. Later, Mr. Doyle became Chief of Land and Trail Planning before becoming an assistant general manager in 1990. Mr. Doyle’s achievements at the Park District include co-authoring expenditure plans for both the $500 million Measure WW Regional Open Space, Wildlife, Shoreline and Parks Bond Extension approved by voters in 2008, and the earlier Measure AA approved in 1988. He developed the master plan for the Park District’s nationally recognized multi-use urban trail system, which received a $10.2 million U.S. Department of Transportation Grant in 2010. Mr. Doyle was also the lead negotiator for a partnership with the East Contra Costa County Habitat Conservancy that has resulted in thousands of acres of preserved open space in East Contra Costa County. Doyle is a founding member of Save Mount Diablo, a nonprofit land trust and conservation organization; as Board president, he led the growth of the organization from 1,000 to 5,000 members. He also was a board member of the Bay Area Open Space Council, a founding board member of the Bay Area Ridge Trail Council, and was appointed to the first Board of Directors of the Agricultural-Natural Resources Trust of Contra Costa County. He has received industry recognition including a Mountain Star Award from Save Mount Diablo (2002) and a Lifetime Achievement Award from California Trails and Greenways (2010). He attended Diablo Valley College, San Francisco State University, and Saint Mary’s College in Moraga, as well as completing continuing education courses at University of California at Davis, the International Right of Way Association, and the National Park and Recreation Association. He is a resident of Walnut Creek and was born and raised in Contra Costa County. Leslie Friedman Johnson is a successful government relations strategist who for more than twenty-five years has advanced a conservation agenda in land conservation, water policy, urban sustainability, clean energy, and the protection of our coasts and oceans. 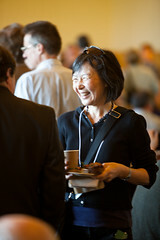 Ms. Friedman Johnson co-founded Conservation Strategy Group with her partner, Joe Caves, in 2003 providing a critical voice for many non-profit and government clients in Sacramento. Recognizing lack of funding as a major obstacle to conservation implementation, Ms Friedman Johnson has focused much of her career on public financing. She was a major player in the development of and successful state-wide campaigns for Proposition 12, 13, 40, 50 and 84; delivering over $15 billion for land, water and natural resource protection. Ms Friedman Johnson has lived in the Bay Area all her life. She is Vice Chair of the Board of Directors of the California League of Conservation Voters, and was recently elected to the board of the Conservation Corps North Bay. Lee has been the Assistant Director of LandPaths since 1999, focusing her work on project development, grant writing and more recently strategic planning. Her passion is the interface of people with nature, and is instrumental in LandPaths work in the more urban areas of the County. Previously, while living in NY, she worked as a joint employee of the Appalachian Mountain Club and the National Park Service’s Rivers & Trails Conservation Assistance Program as lead Community Conservation Planner for the NY-NJ metropolitan area. Prior to this, she worked for NYC’s Department of Environmental Protection doing community outreach and watershed planning, the Metropolitan Water District of Southern California and the Army Corps of Engineers. 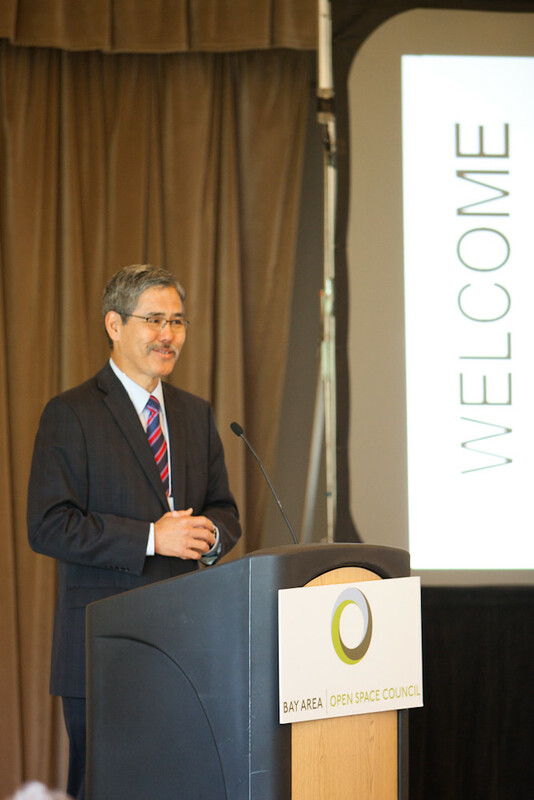 Randell “Randy” Iwasaki is the Executive Director of the Contra Costa Transportation Authority (CCTA). 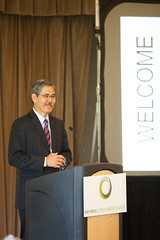 Prior to his appointment as Executive Director, Iwasaki was appointed by Governor Schwarzenegger in August 2009 as Director of the California Department of Transportation. He was in charge of the operation of the California state transportation system, including more than 50,000 lane miles of state highway, intercity passenger rail, state support for local mass transportation systems, 12,400 bridges and more than 250 general aviation airports. He oversaw an annual budget of almost $14 billion and a staff of more than 22,000 maintenance, planning, right of way, environmental, administrative, and engineering personnel. A licensed civil engineer, Iwasaki had been with Caltrans for more than 26 years serving in a number of high profile engineering and management positions. In 2009, he was named to Government Technology’s list of 25 “Doers, Dreamers and Drivers,” and in 2008 was the recipient of the Thomas H. McDonald Memorial Award, which is considered the highest award presented by the American Association of State Highway and Transportation Officials for “rendering continuous outstanding service over an extended period of time or have made some exceptional contribution to the art and science of highway engineering.” Iwasaki earned his bachelor’s degree in Engineering from California Polytechnic State University, San Luis Obispo, and a Master’s in Engineering from California State University, Fresno. Stephen has been involved in photography for 43 years. He has a Bachelors and a Masters in Fine Arts from California College of Arts and Crafts. As a fine art landscape photographer specializing in panoramic images, Stephen has spent the last 18 years working with land trusts around the Bay Area. Stephen was the Artist in Residence for the LeConte Memorial Lodge in Yosemite Valley (2003-04), and the Centennial Photographer” for Muir Woods National Monument in Marin County (2008). Stephen’s book “Nature’s Beloved Son, Rediscovering John Muir’s Botanical Legacy” was published by Heyday Books, and his images from the Centennial Collection of Muir Woods National Monument was published the Golden Gate National Parks Conservancy. Stephen’s third book, a selection of panoramic images of Mt. Diablo, published by The Mt. 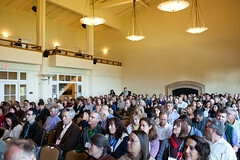 Diablo Interpretive Association, will be released in March 2011. As Executive Director of the Brentwood Agricultural Land Trust, Kathryn has been working with Bay Area farmers for the past ten years. 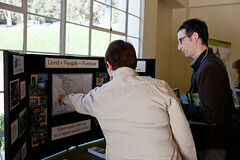 Her recent projects include an in-depth study of agriculture in the nine Bay Area counties. 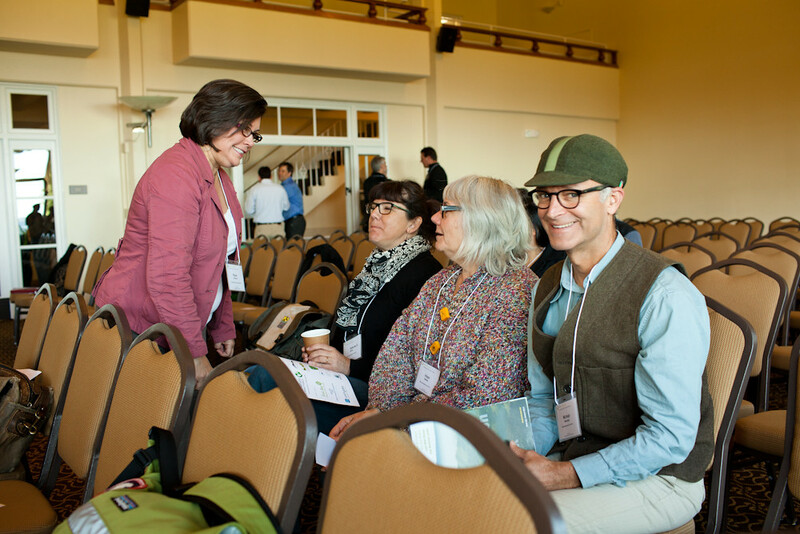 Through her work with BALT, Greenbelt Alliance, Bay Area Open Space Council, Roots of Change and the San Francisco Urban-Rural Roundtable, Kathryn is engaged in both the farming and the land conservation communities throughout the Bay Area. Malcolm Margolin is executive director of Heyday, an independent nonprofit publisher and unique cultural institution, which he founded in 1974. Each year Heyday publishes between twenty and twenty-five books on various aspects of California culture, history, nature, literature, and ethnic studies plus News from Native California, a quarterly magazine devoted to California Indian history and culture. 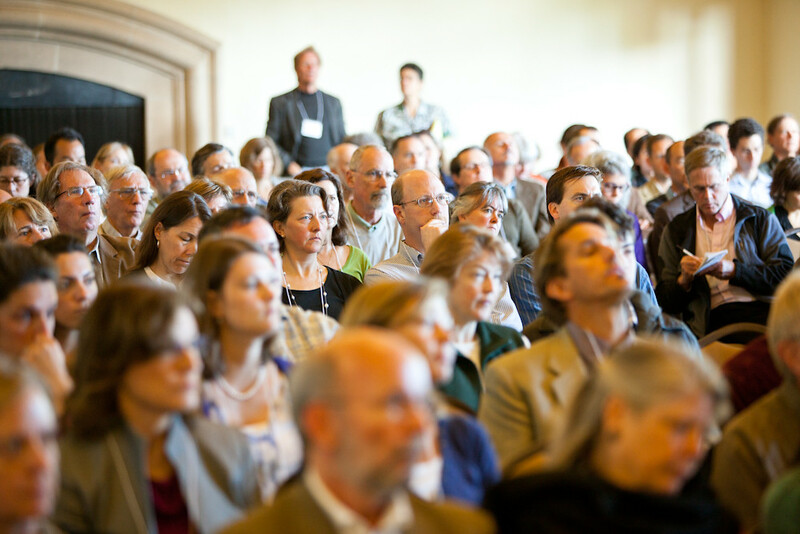 Heyday sponsors more than 200 events annually and works in conjunction with many of the state’s leading museums, universities, and cultural institutions. Margolin is author of several books, including The Ohlone Way: Indian Life in the San Francisco – Monterey Bay Area, named by the San Francisco Chronicle as one of the hundred most important books of the twentieth century by a western writer. He has received dozens of prestigious awards among which are a Lifetime Achievement Award from the San Francisco Bay Area Book Reviewers Association, the Helen Crocker Russell Award for Community Leadership from the San Francisco Foundation, and a Cultural Freedom Award from the Lannan Foundation. Ernesto Pepito is the Manager for Youth Leadership at Crissy Field Center. He manages a number of outreach, volunteer and internship initiatives and projects that promote youth leadership for thriving parks, healthier communities and a more environmentally just society. 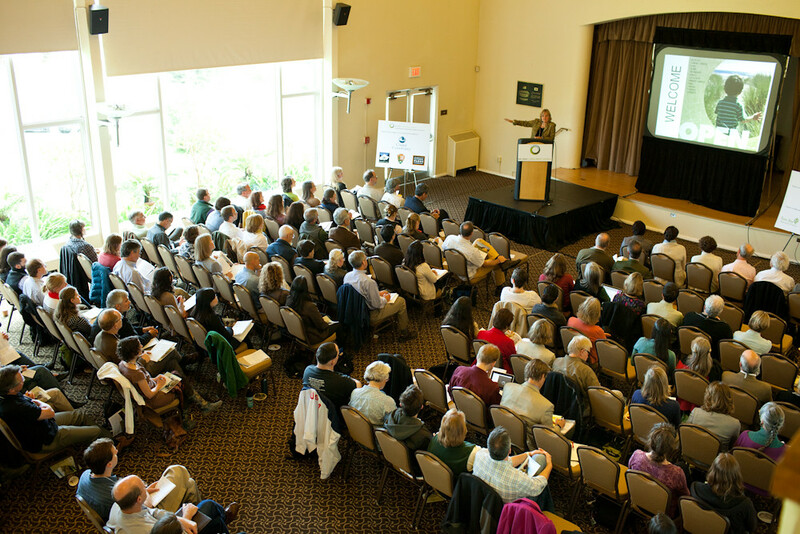 As a recognized leader, he has attended and presented at conferences nationally and internationally on the work that is occurring in Golden Gate National Recreation Area. Most recently Ernesto has been involved the Americas Great Outdoors Initiative both locally and nationally. He started his career leading middle and high school service learning programs for Americorps and has a degree in political science. 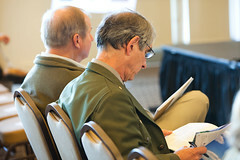 John, the Founder and President of Conservation Strategy Fund, has worked in conservation since 1991, promoting the use of economics to address conservation challenges. John has pursued that goal through an innovative training program and by the example of practical, policy-relevant analyses on a number of themes in the Amazon, Central America and the Brazilian Atlantic Forest. These issues include energy and transportation infrastructure, logging, ranching, protected areas and agriculture, among others. John founded Conservation Strategy Fund in 1998 after positions with Resources for the Future, Conservation International and Pacific Forest Trust. He designed CSF as an independent technical organization with the aim of spreading economics skills among conservation professionals. John’s work has appeared in many CSF publications, in Scientific American, Conservation Biology, Environment, the Journal of Political Economy, Megadiversidade and Ambio. He speaks Portuguese and Spanish, and holds a Masters in Public Policy from Harvard University. Magdalena began her work with LandPaths in 2007 as the Community Outreach specialist for the Bayer Farm project, a unique public access model at a future city park site in Roseland, a largely-Latino area of Sonoma County. Building on the success of that project, she began work as a bilingual Field Programs Assistant to help develop a Spanish-outreach program to mirror existing outing programs. She has led several Spanish-language outings. 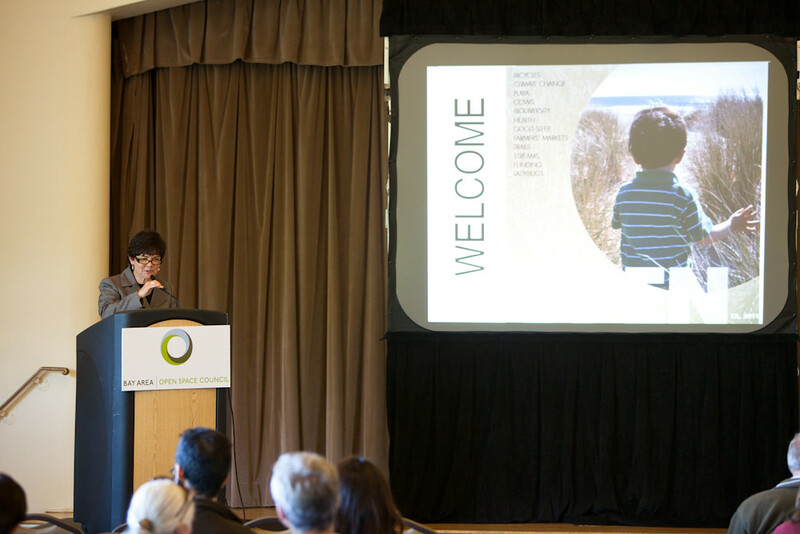 Since 1987, Audrey Rust has served as CEO of the Peninsula Open Space Trust,first as executive director and currently as president. 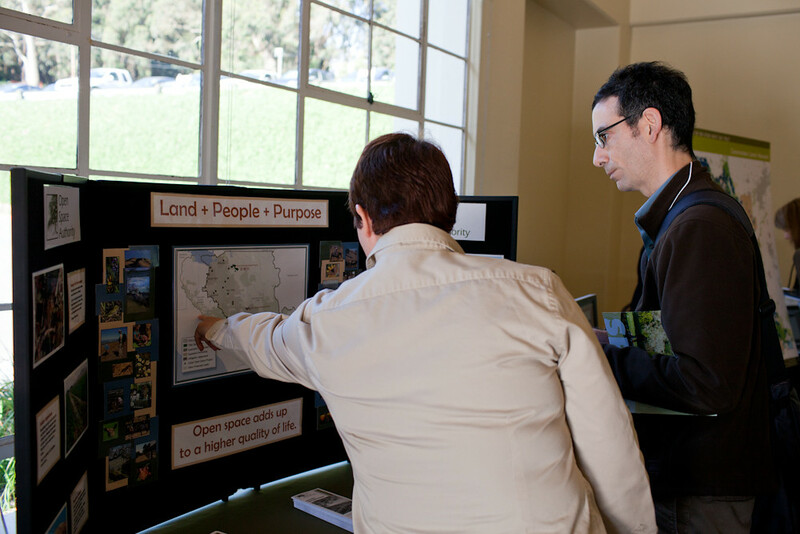 Under her leadership, POST has worked successfully in partnership with public agencies and private landowners to bring permanent protection to many thousands of acres of open space lands in San Mateo, Santa Clara and Santa Cruz counties. Before coming to POST, Ms. Rust worked with the Sierra Club, Yale University and Stanford University. She has served on the boards of numerous local, state and national organizations, primarily in the conservation and housing arena. She has received the Times Mirror-Chevron National Conservationist of the Year Award; the League of California Voters Environmental Leadership Award; the Cynthia Pratt Laughlin Medal, the Garden Club of America’s top environmental honor; the Athena Award for outstanding leadership by the Palo Alto Chamber of Commerce; and the Jacqueline Kennedy Award from JFK University for her achievements in land conservation. Ms. Rust is a graduate of the University of Connecticut at Storrs. Lorrie Sullenberger is a fitness expert, local television personality and mother of two very active teenagers. She is the founder of Fit and Fabulous…Outdoors! and regularly appears on local television programs to address women’s health. She is certified by the American Council on Exercise and has owned and operated a women’s gym. She is a frequent contributor to Woman’s Day magazine, writes a monthly fitness and exercise column for Alive East Bay magazine, and is a featured writer and serves on the Advisory Board to Shape magazine. Lorrie also serves as a Regional Ambassador for the Governor’s Council on Physical Fitness and is a guest speaker at schools and organizations throughout California, addressing issues such as childhood obesity and women’s fitness. She inspires women to discover a more exhilarating life by incorporating fitness and the outdoors into their daily routine. Lorrie is married to US Airways Captain Chesley B. “Sully” Sullenberger, who famously landed Flight 1549 in the Hudson River on January 15, 2009. They live with their two daughters, Kate and Kelly, in Danville, California. Amy Worth serves on the Orinda City Council and is Vice Chair of the Metropolitan Transportation Commission. She is Past Chair of the Contra Costa Transportation Authority and continues to serve as a member of the Authority, along with the County Connection Board of Directors. 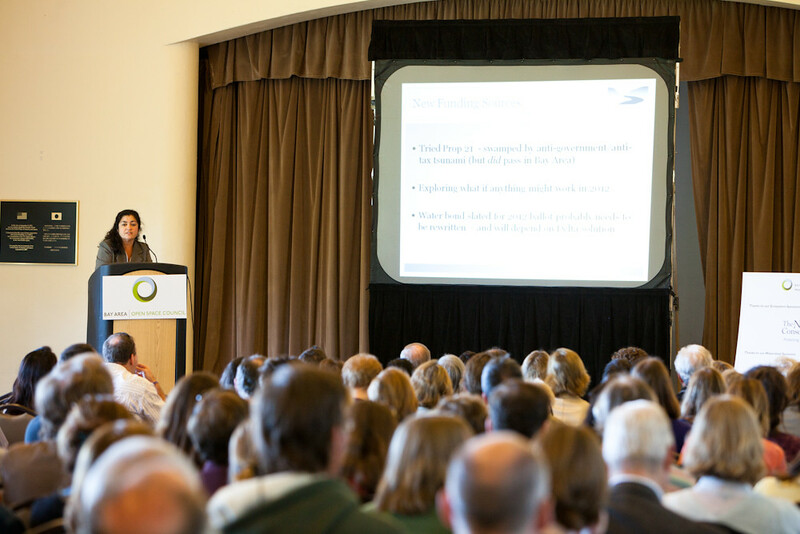 For her leadership in the development of the Contra Costa 25 year Transportation program and the successful passage of Measure J, she was honored by the San Francisco Bay Area Chapter of the Women’s Transportation Seminar as the 2005 Woman of the Year. 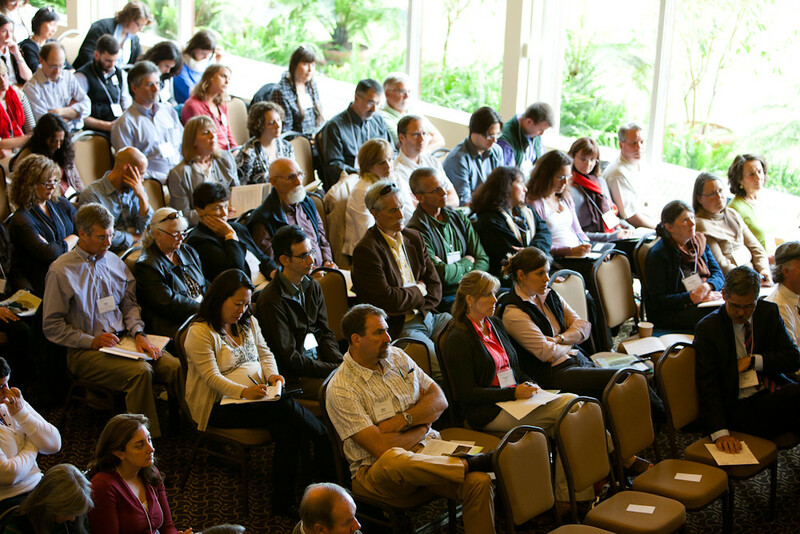 The successful Measure J combined transportation investment in projects and programs with innovative cooperative land use planning and open space preservation elements. The measure was the result of a significant cooperative effort spanning two years, involving environmental, business and labor groups, community residents, transportation professionals and elected officials. Committed to the principles of regional cooperation, she served as President of the League of California Cities, East Bay Division and was Chair of the Contra Costa Mayor’s Conference. Prior to serving in elected office, she began her volunteer career in community service as Chair of the Contra Costa Library Commission and Vice President of the California Alumni Association. She holds a bachelor’s degree from the University of California, Berkeley and a master’s degree from Cal State University, East Bay.